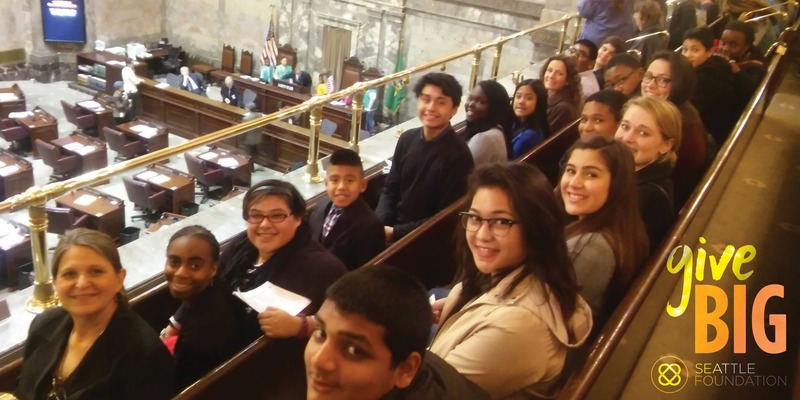 GiveBIG May 3rd to Youth Leadership and Civic Engagement! Young people need the guidance and support necessary to become successful, civically engaged leaders. They need the opportunity to learn how to make a vision for a better and stronger America, and apply leadership skills that can turn that vision into a better world. On May 3, 2016, from 12:00 a.m. to 11:59:59 p.m., the Institute for Community Leadership is participating in Seattle Foundation’s GiveBIG. Please join us! Every donation will be stretched further if you donate through this link: click here! Invest in a new leader! Please consider making a generous donation NEXT TUESDAY, MAY 3rd to the Institute for Community Leadership. All gifts are tax deductible. I personally thank you for considering this request. You can contribute conveniently and securely on-line by clicking here. P.S. Any amount will help us reach out to more students. Please do what you can.